This is Average Daily Range indicator that have percentage calculation of the current day. 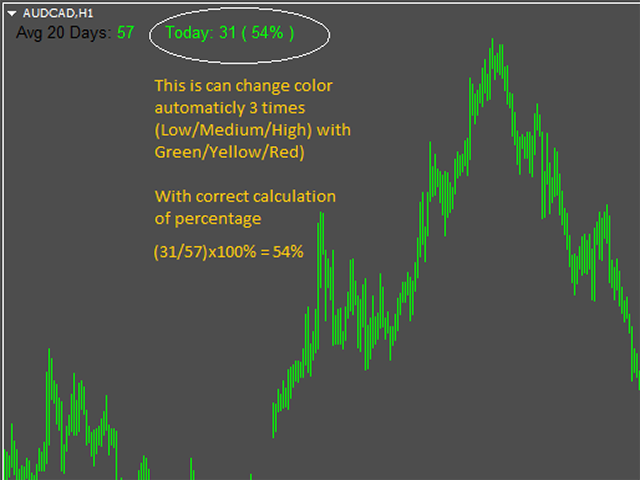 This indicator calculate average range of 20 days and show it on pips and percentage that reach each day. 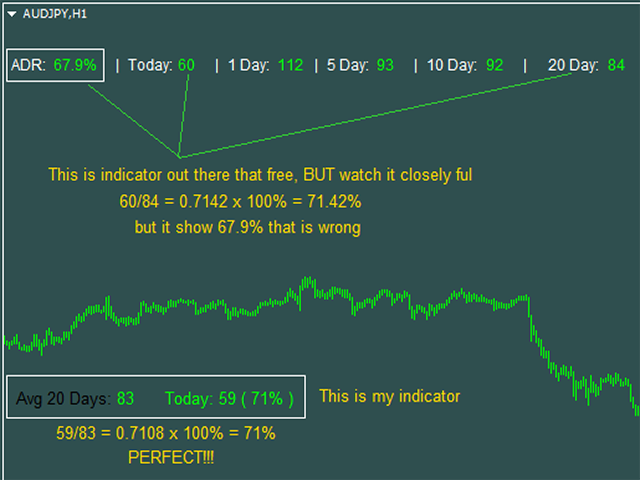 Maybe you find out that out there have same indicator like this that is free, but watch it closely full day, you will find that indicator give you incorrect information about calculating the percentage. ADRvalueColor - color for pips number at "Avg20Days"